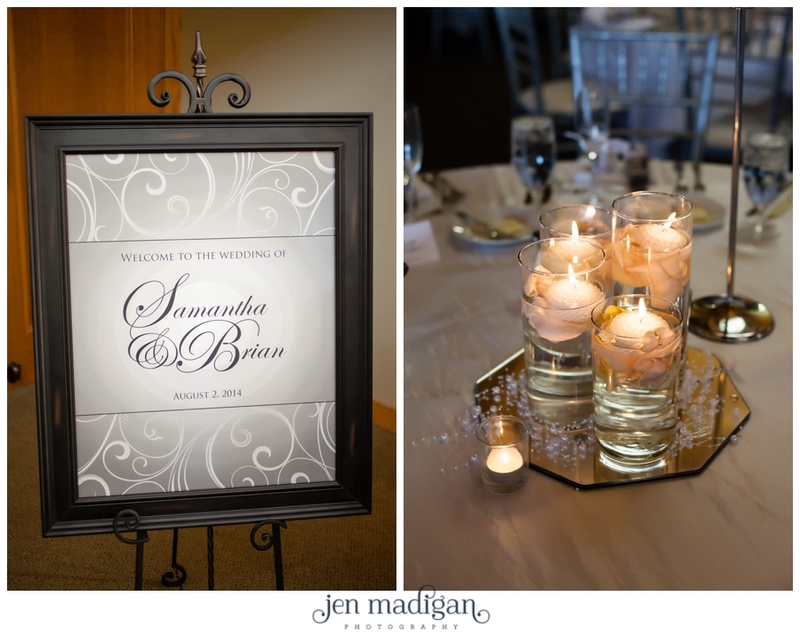 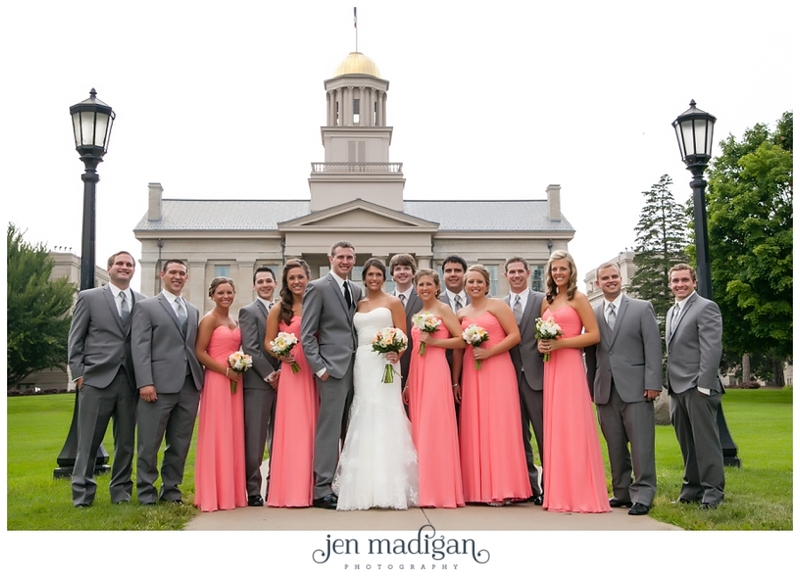 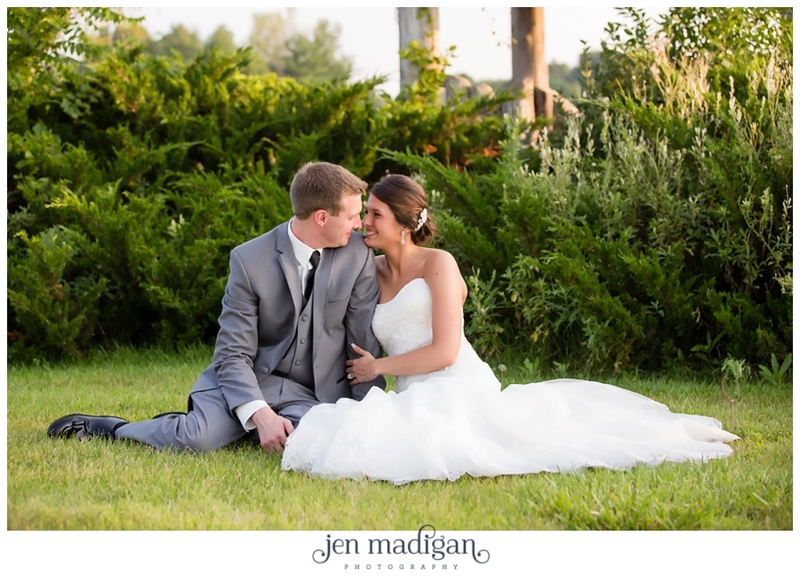 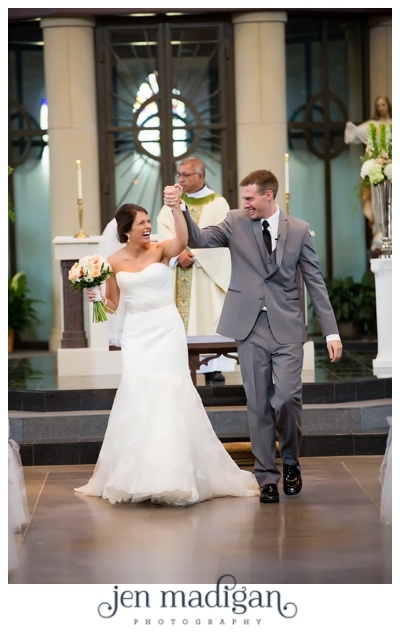 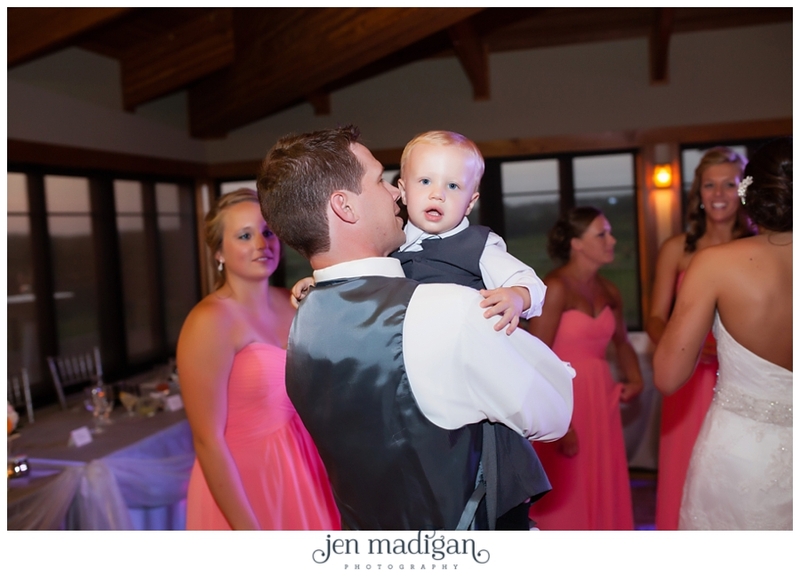 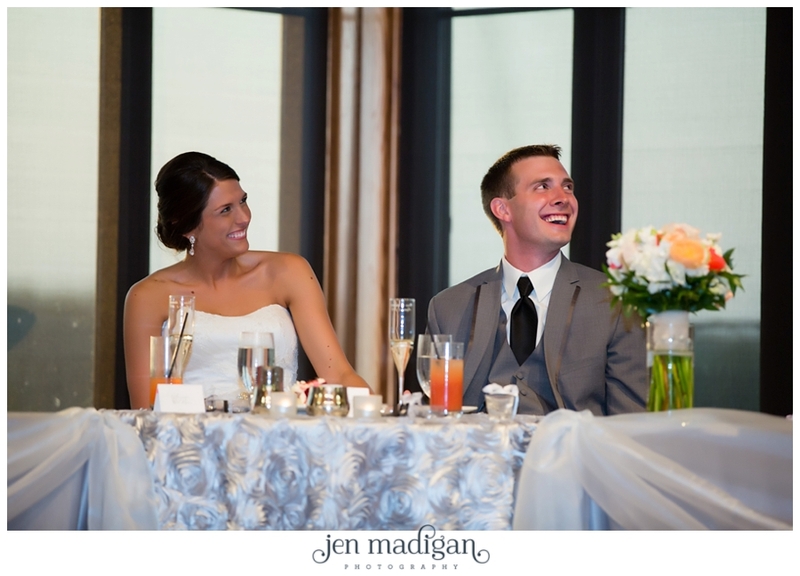 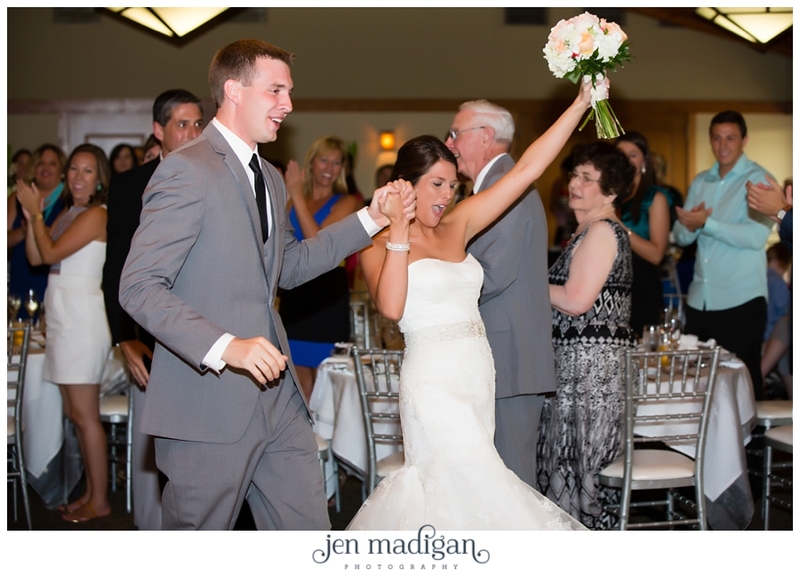 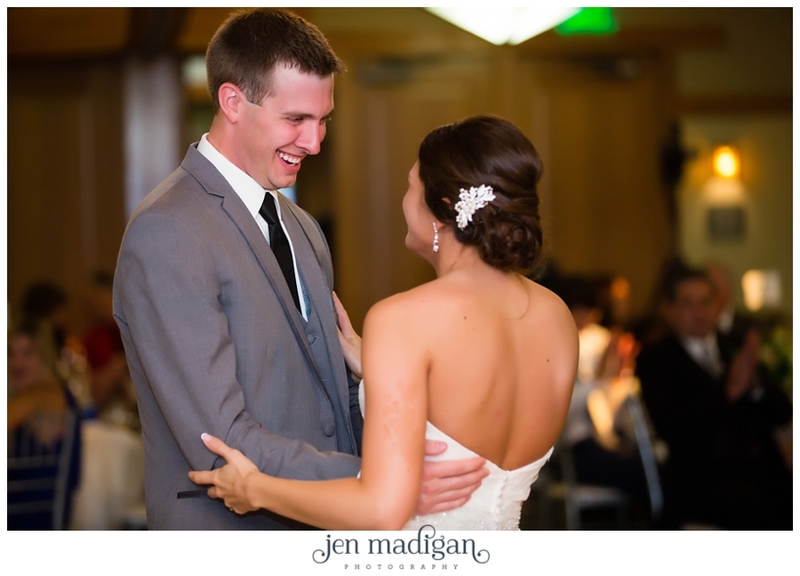 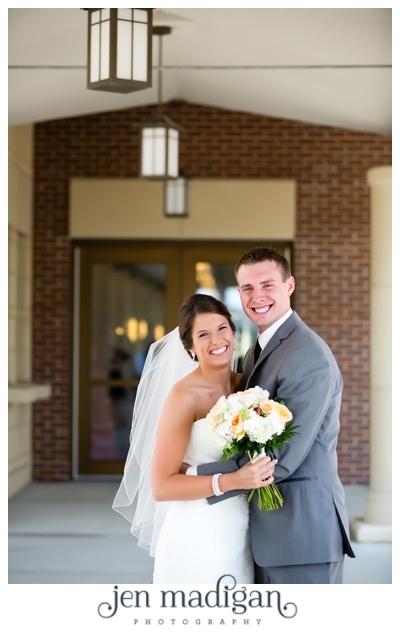 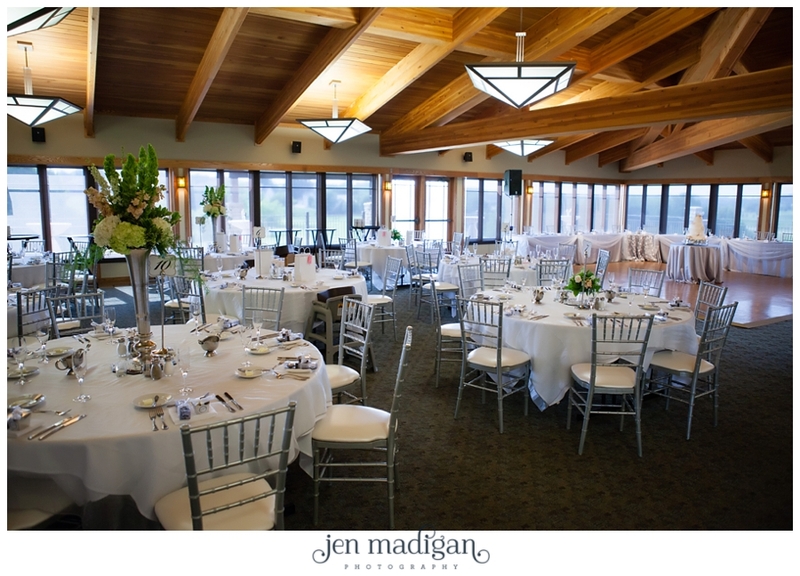 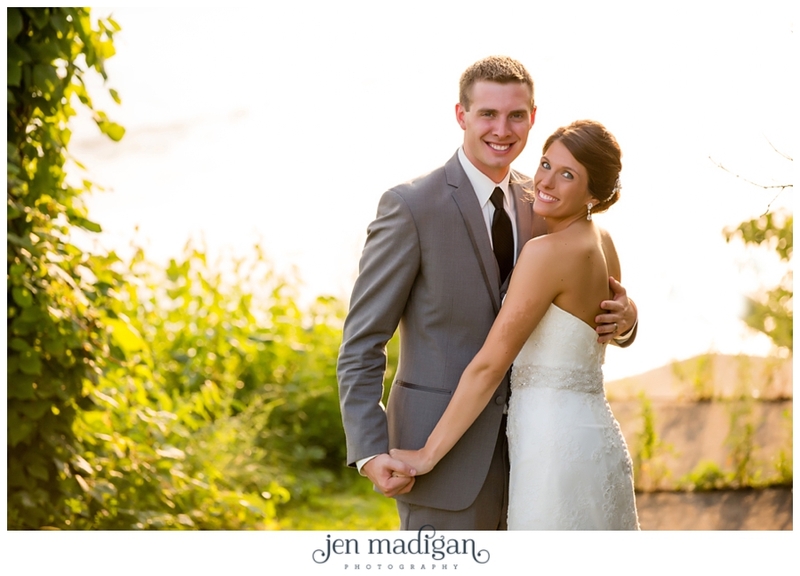 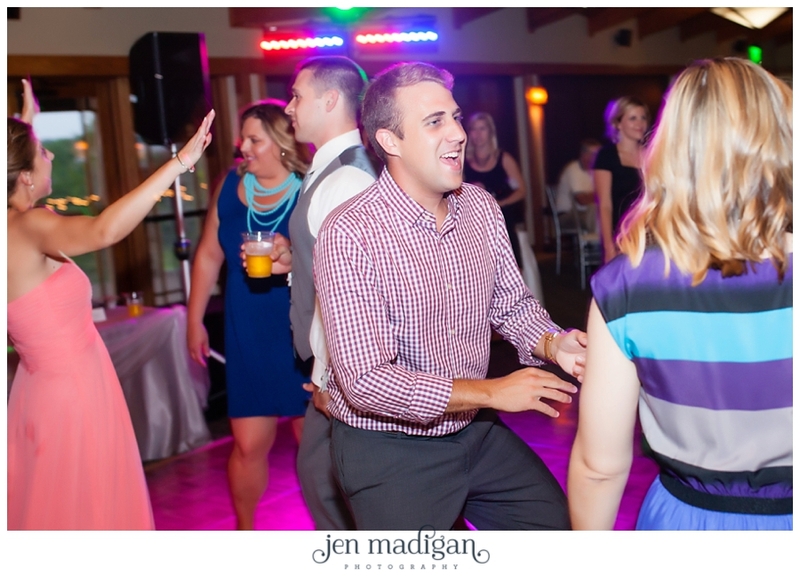 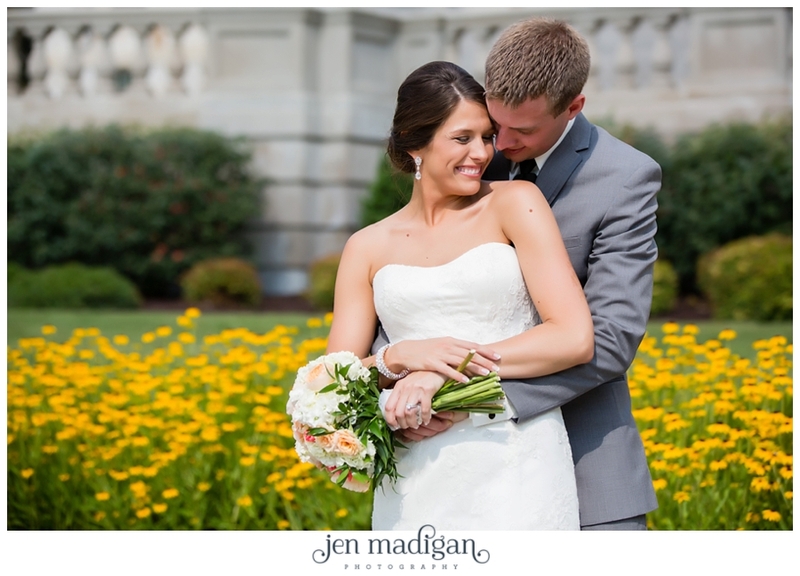 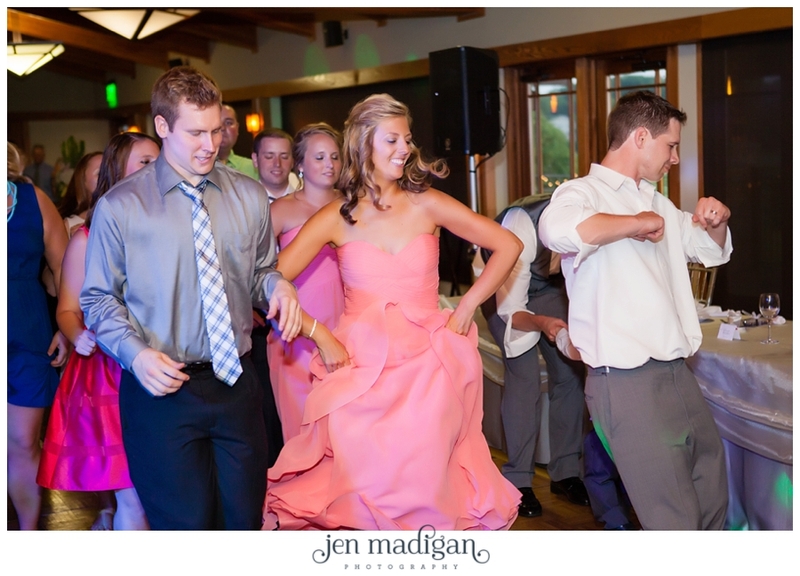 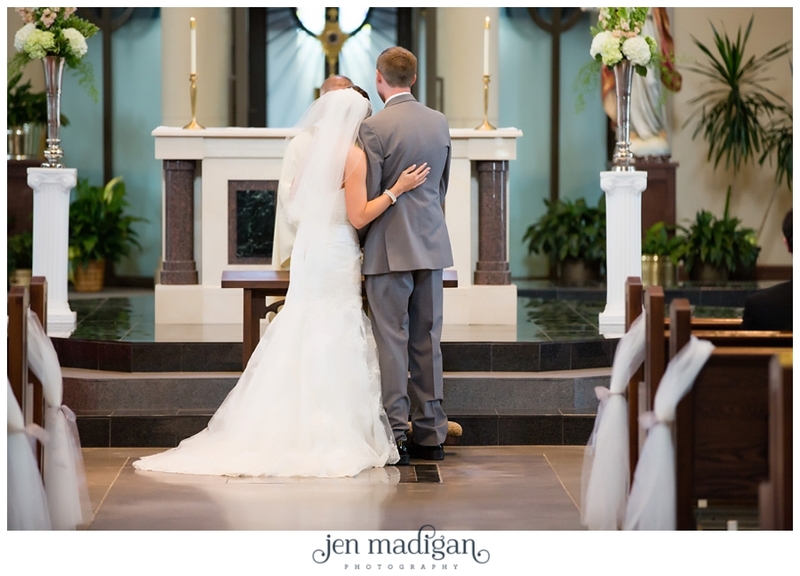 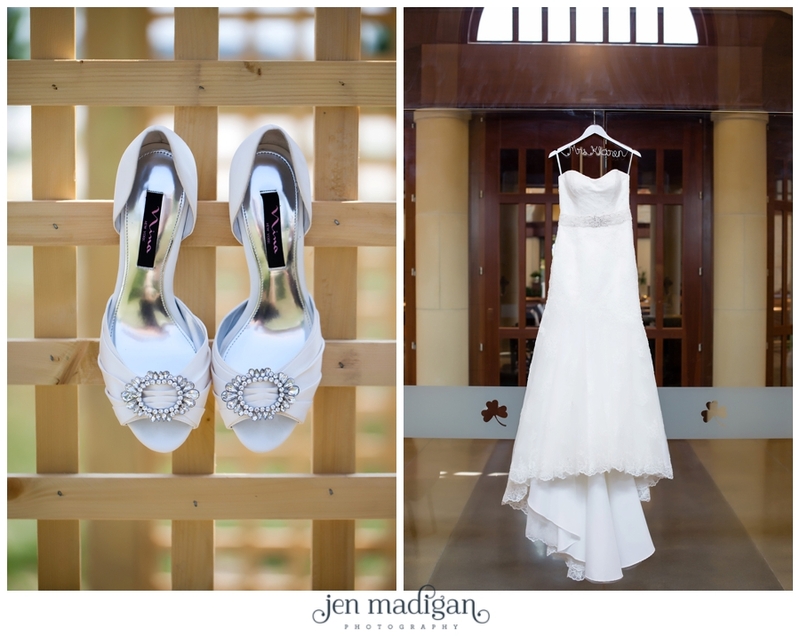 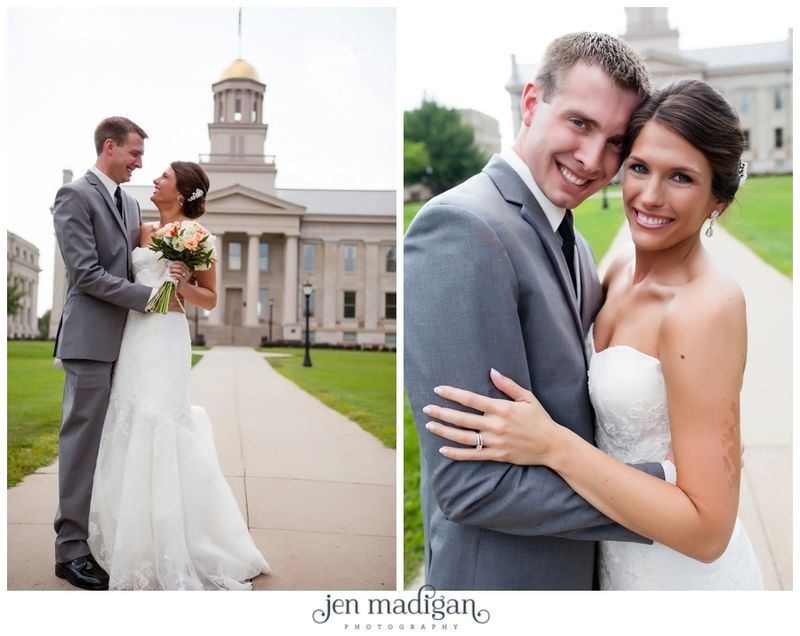 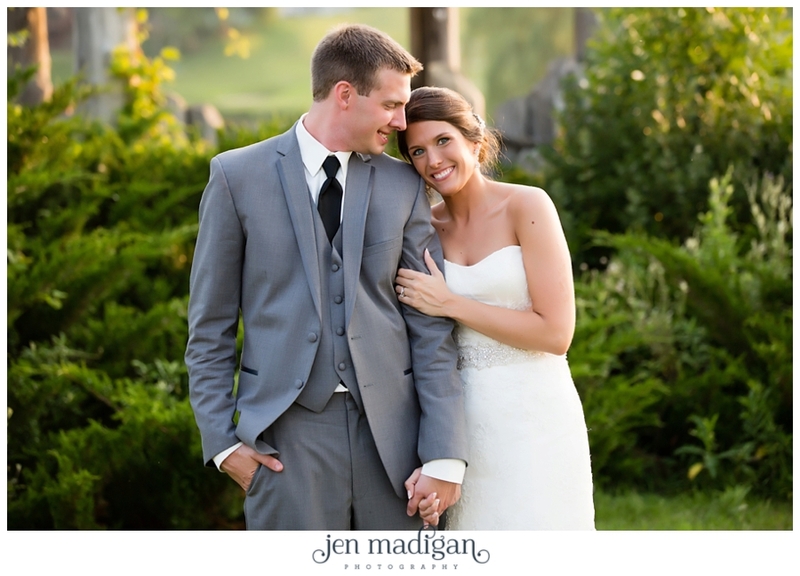 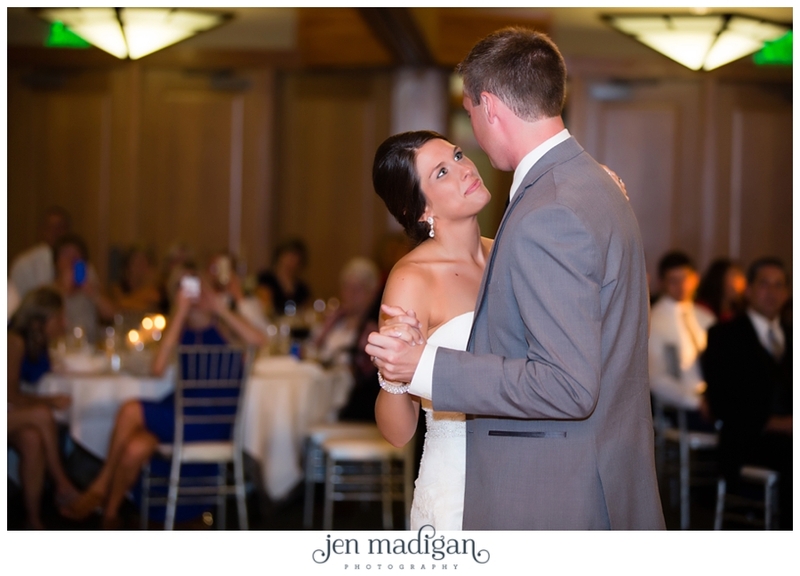 Samantha and Brian were married on a beautiful August 2nd at St. Pat's in Iowa City, followed by a reception at Brown Deer in Coralville. 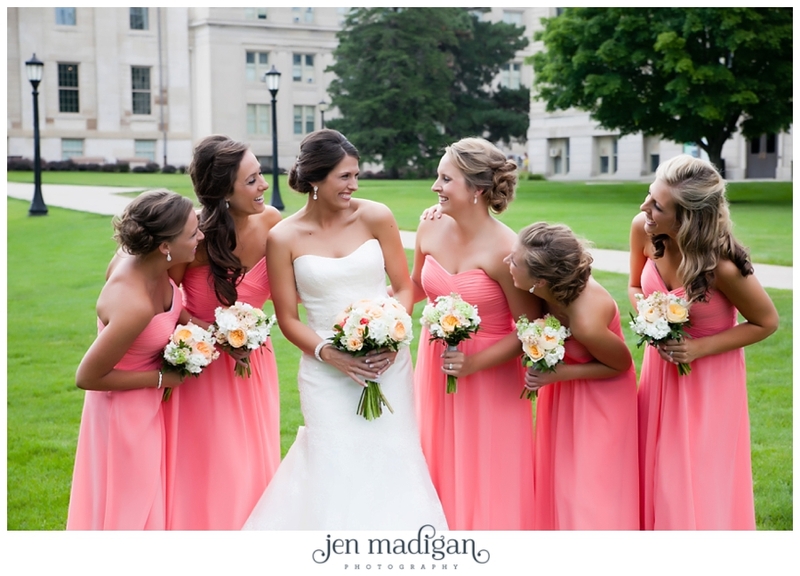 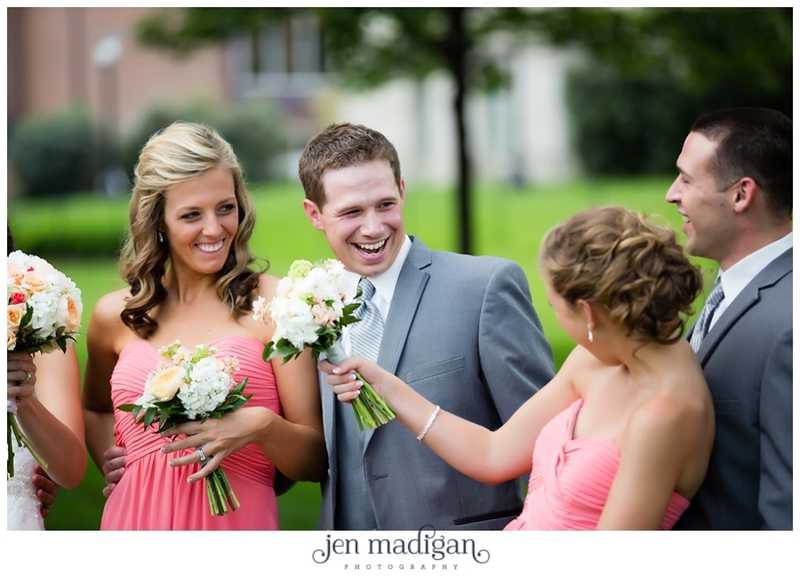 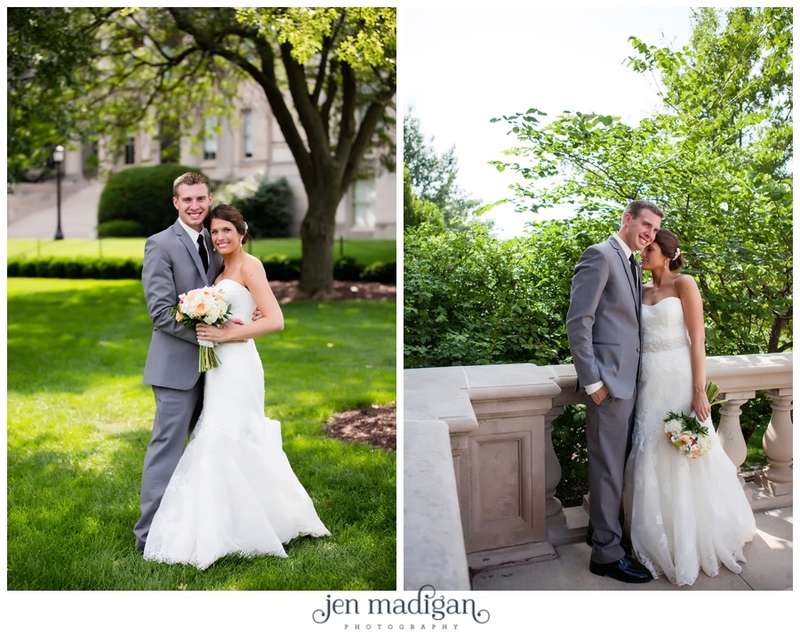 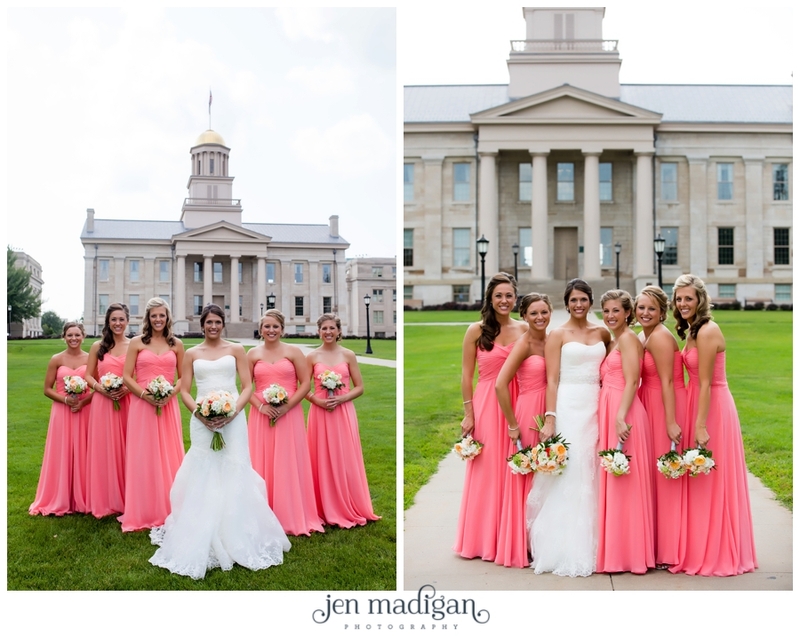 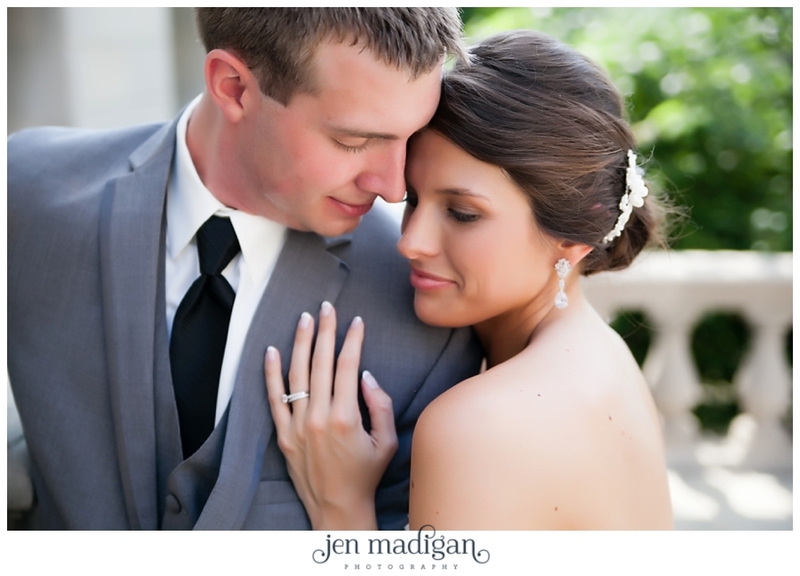 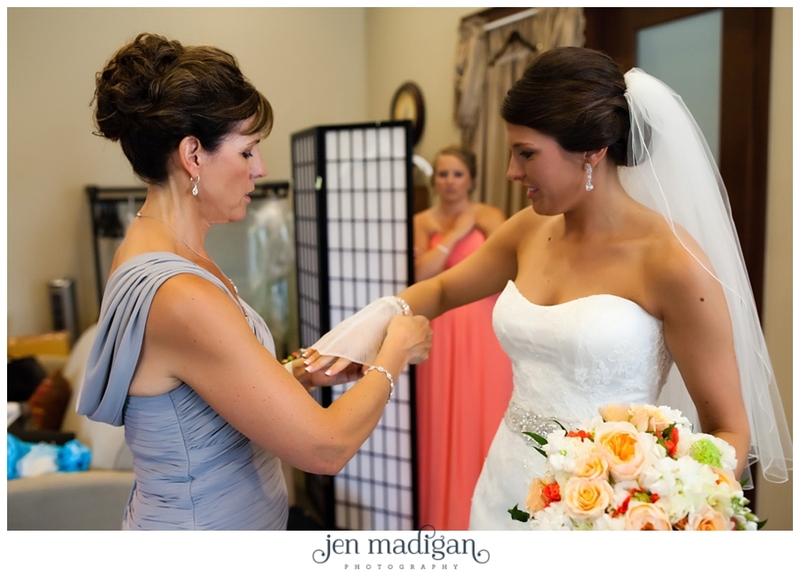 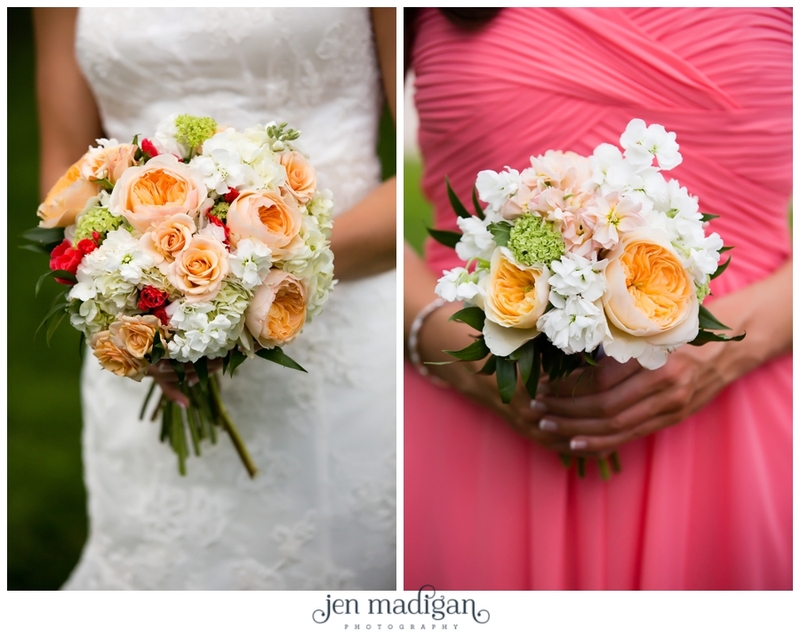 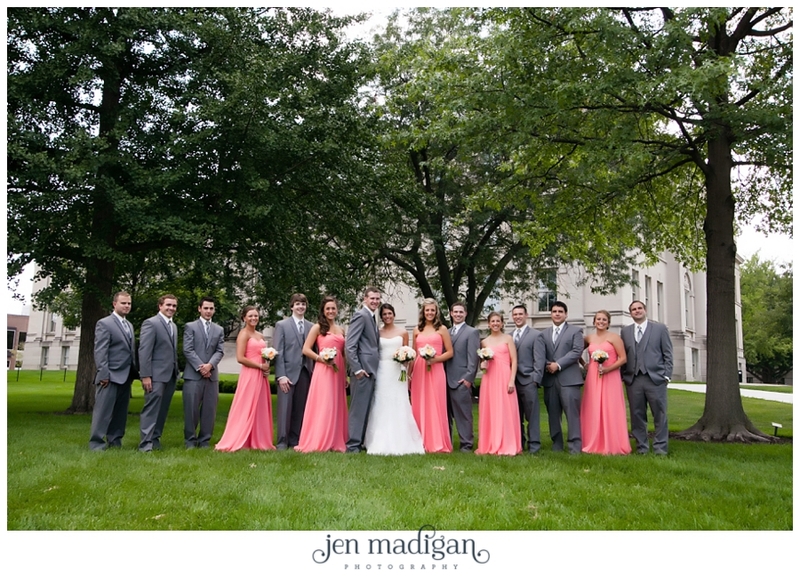 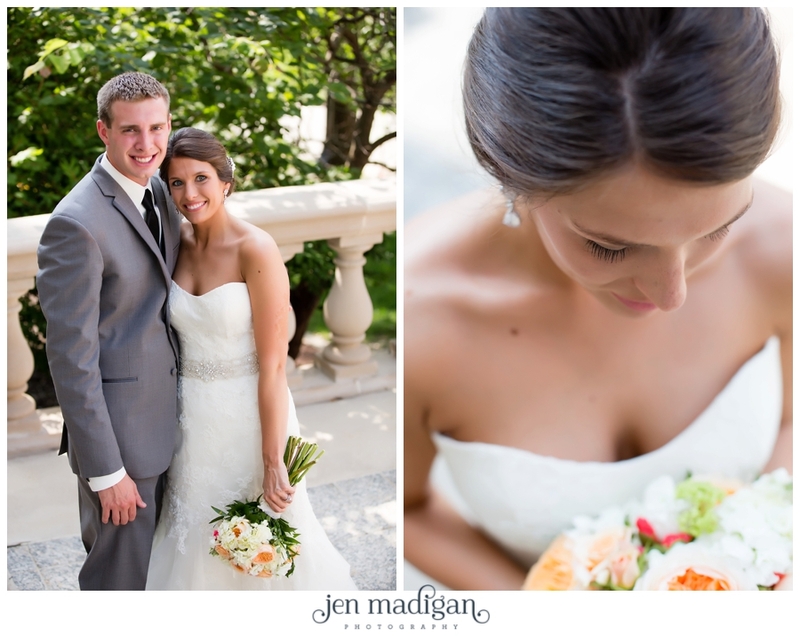 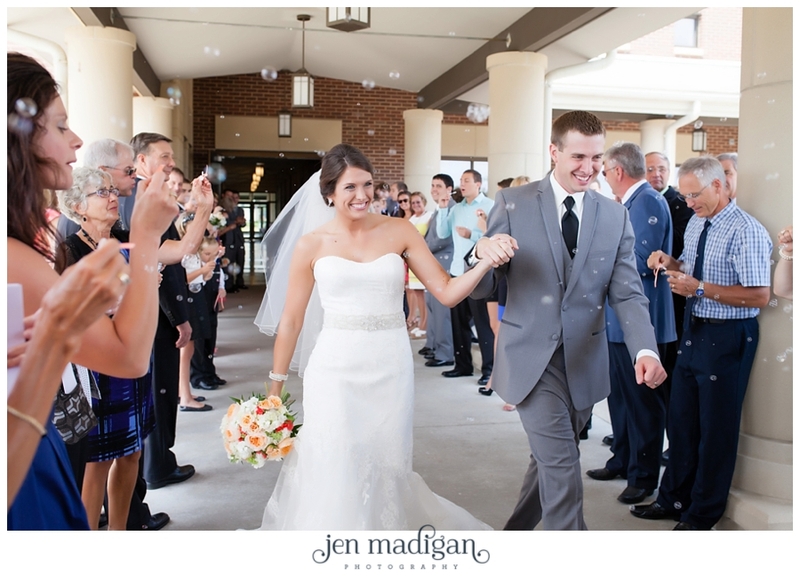 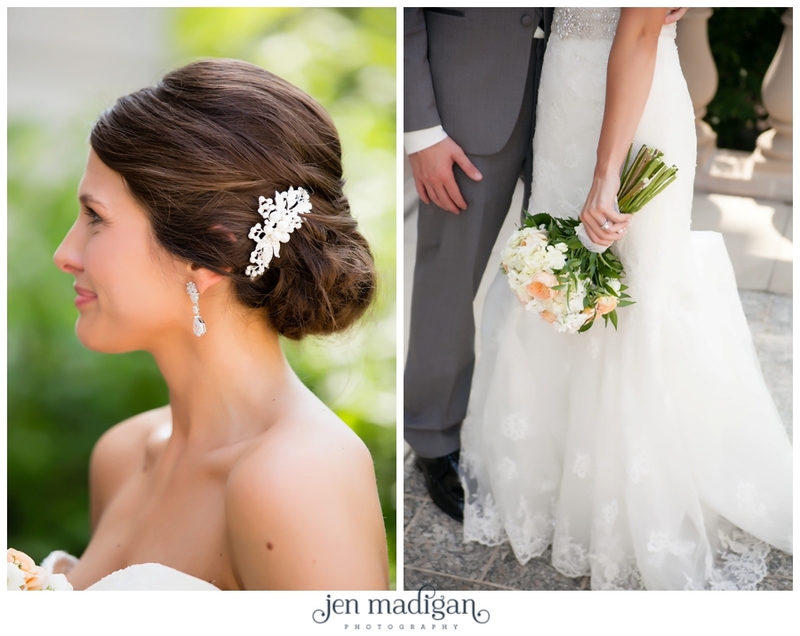 Their colors of coral and gray were perfect for summer, and what a stunning couple these two are! 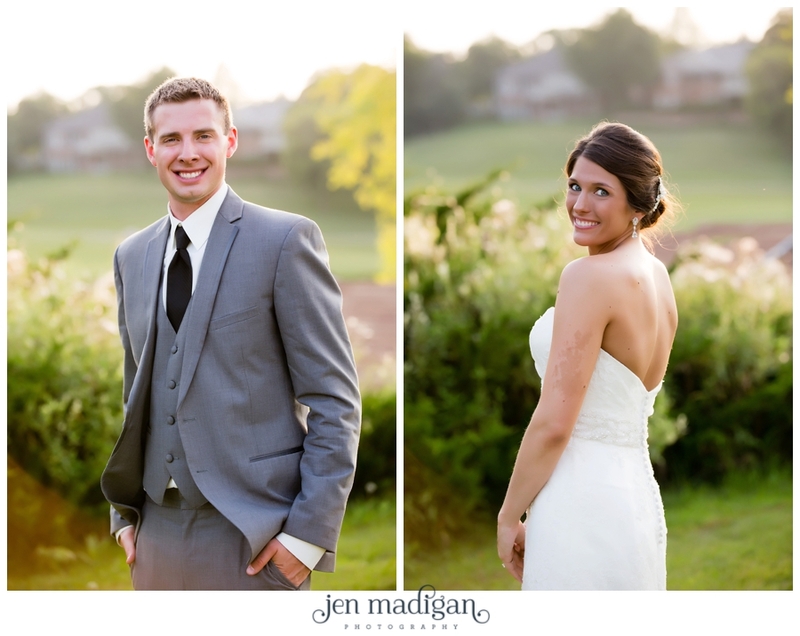 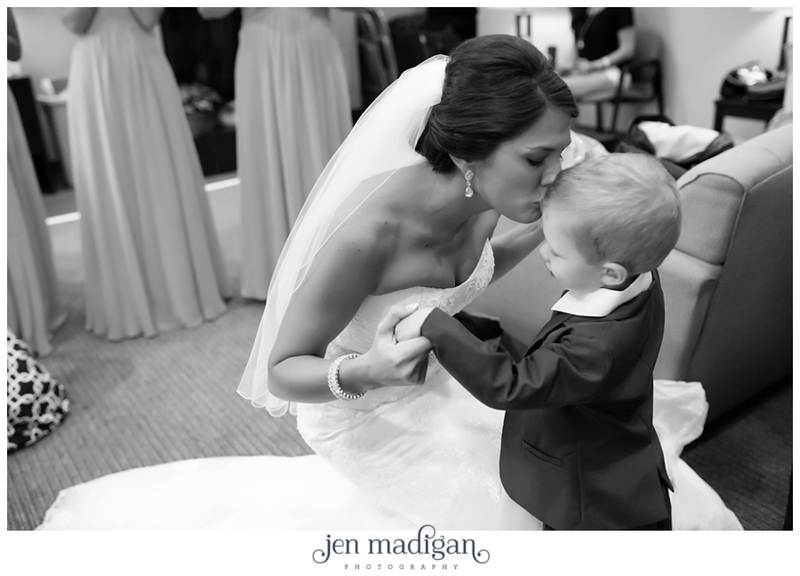 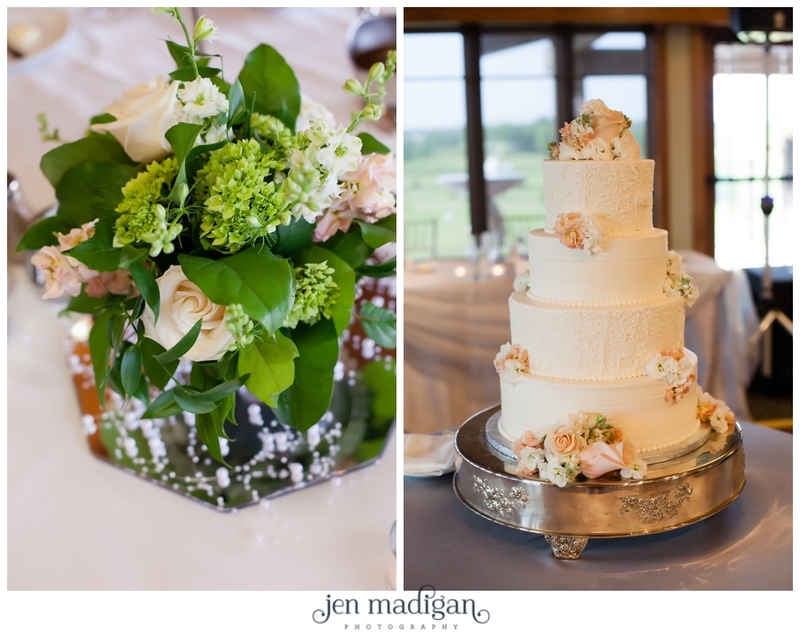 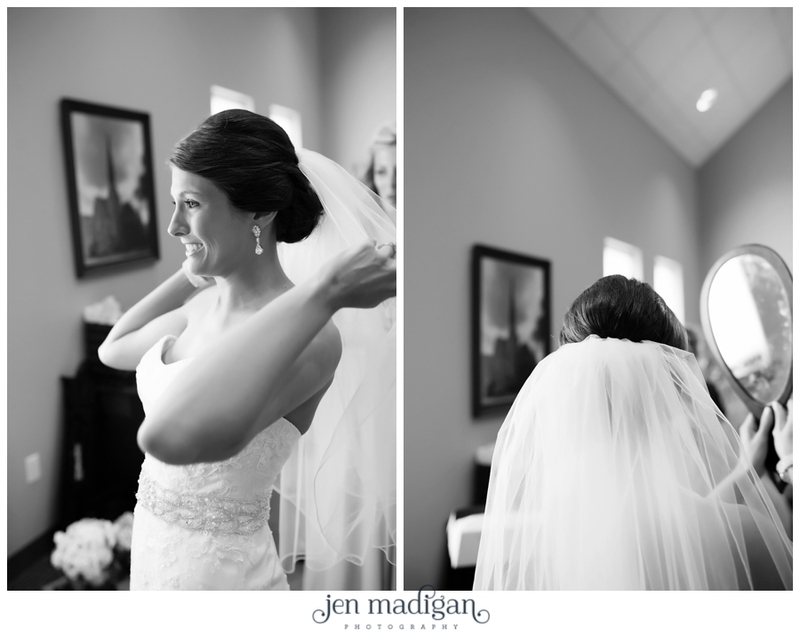 These two had such a great first look, and both said later that it was their favorite part of the day. 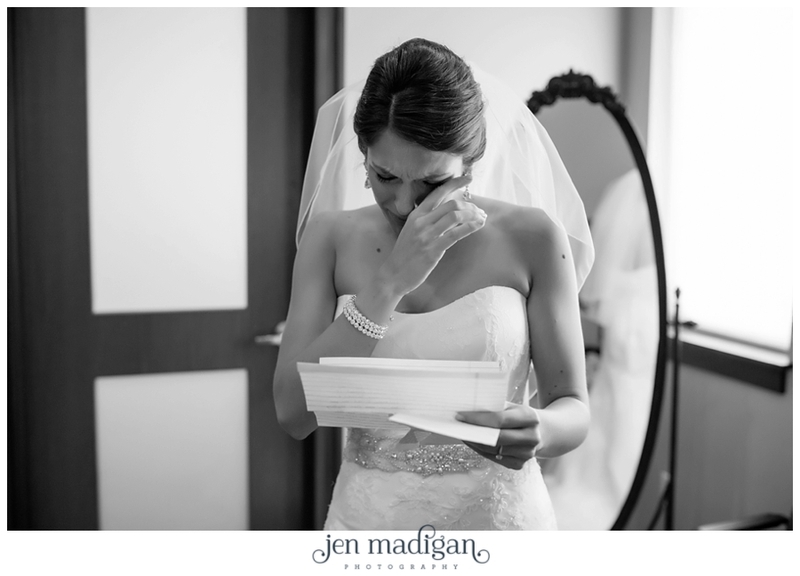 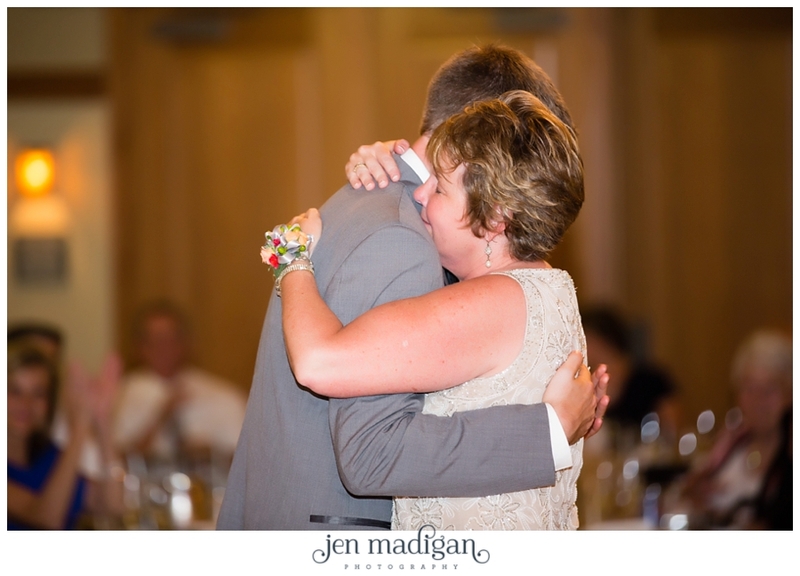 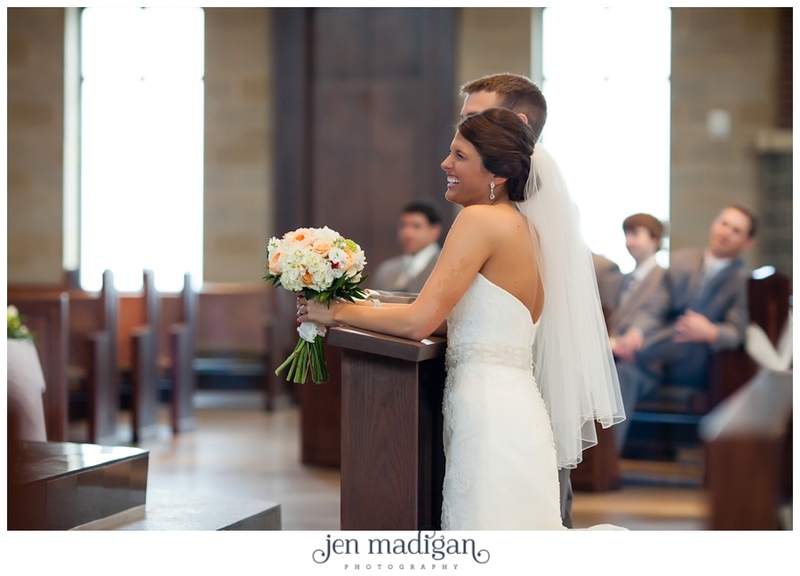 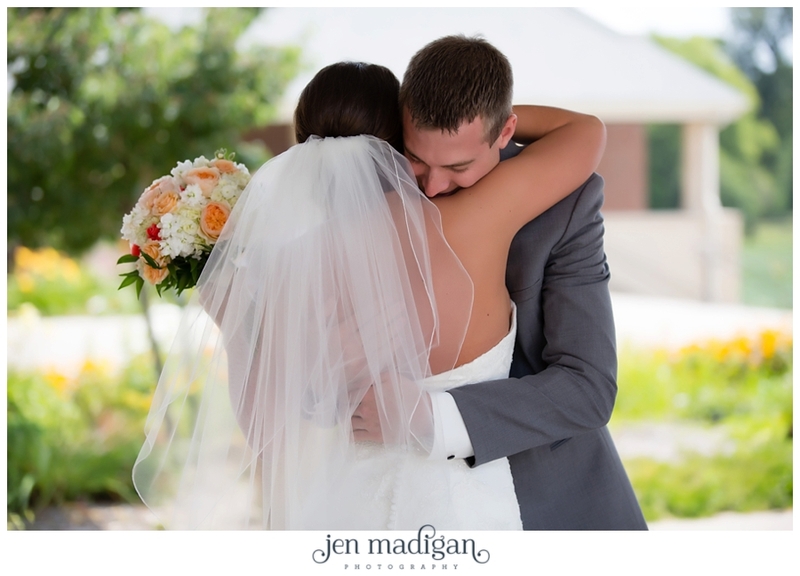 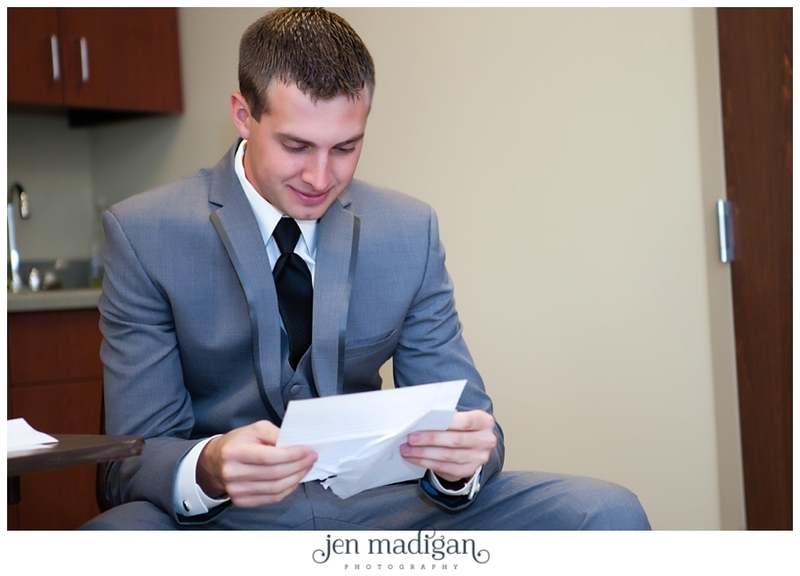 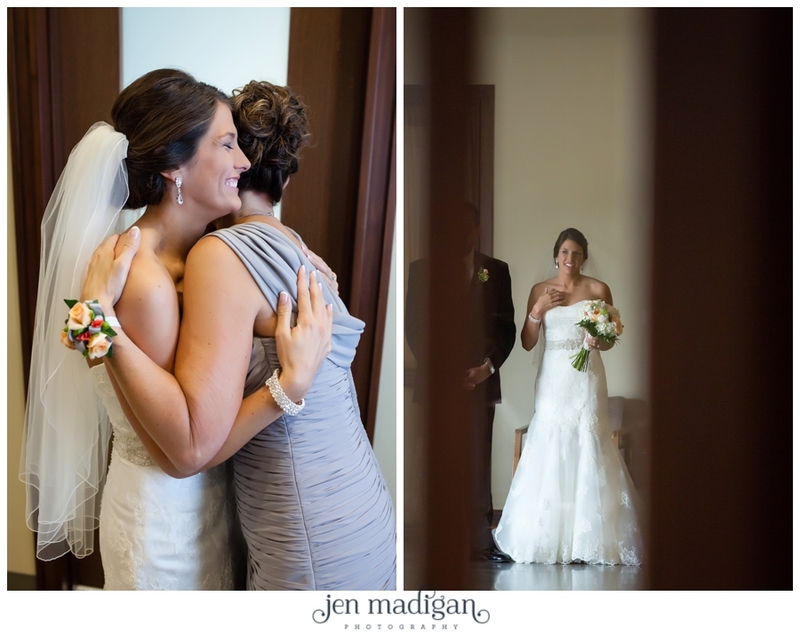 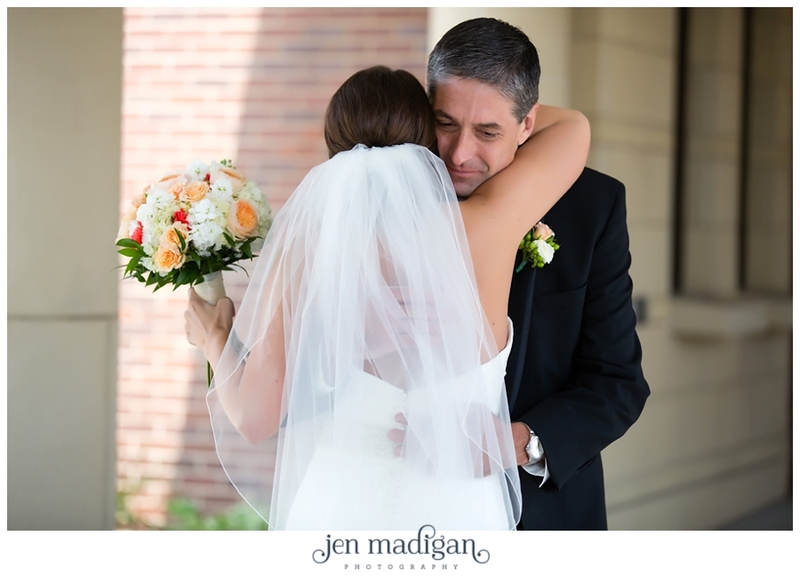 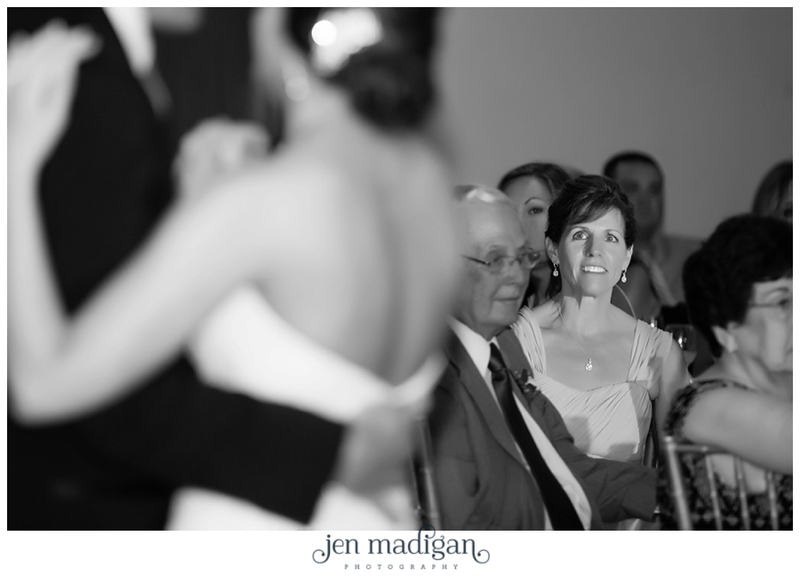 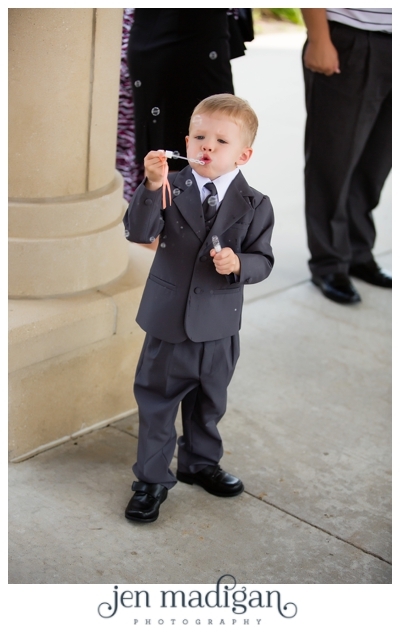 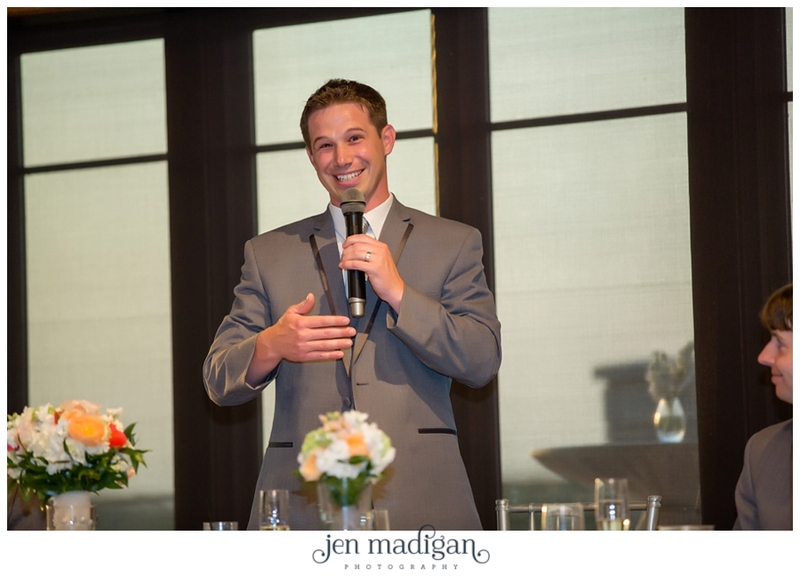 Emotions always run high in anticipation of seeing each other, and after exchanging letters to each other, they met in front of the church for the first time on their wedding day. 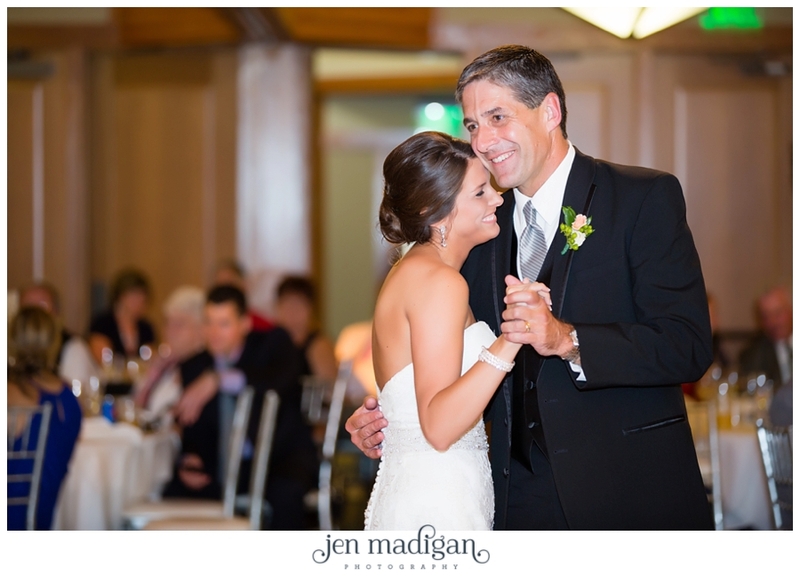 I also loved the moment Samantha had with her dad, so sweet. 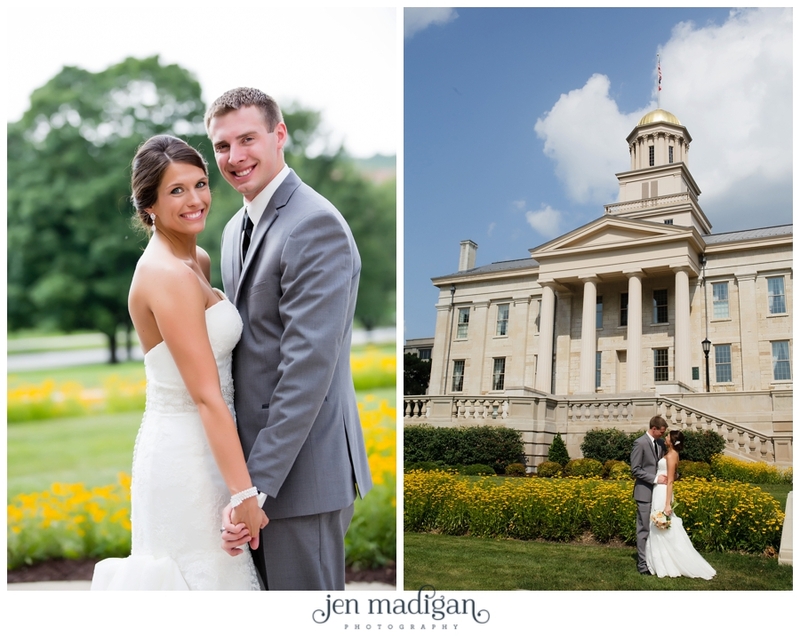 After the ceremony we headed down to the Pentacrest, before heading to Brown Deer for the reception. 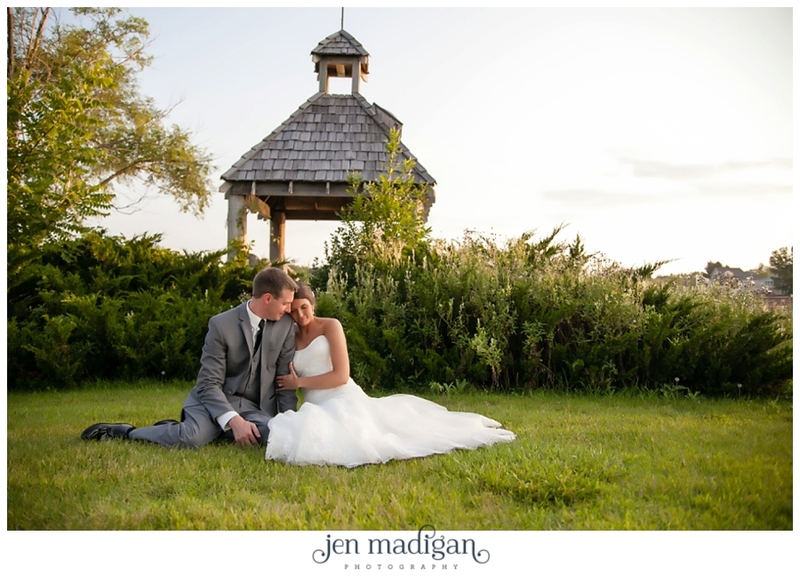 I can't think of anything prettier than sunset pics on the golf course there, the light is just perfect and those photos are always my favorite of the day. 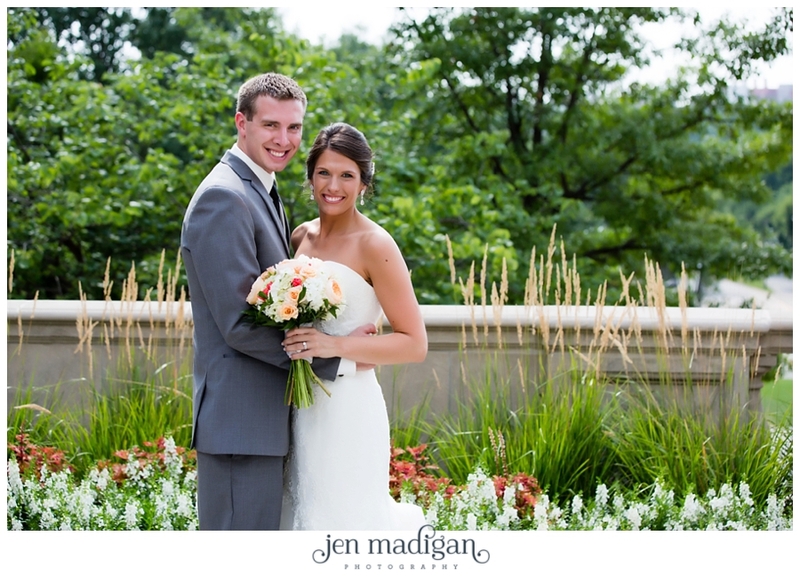 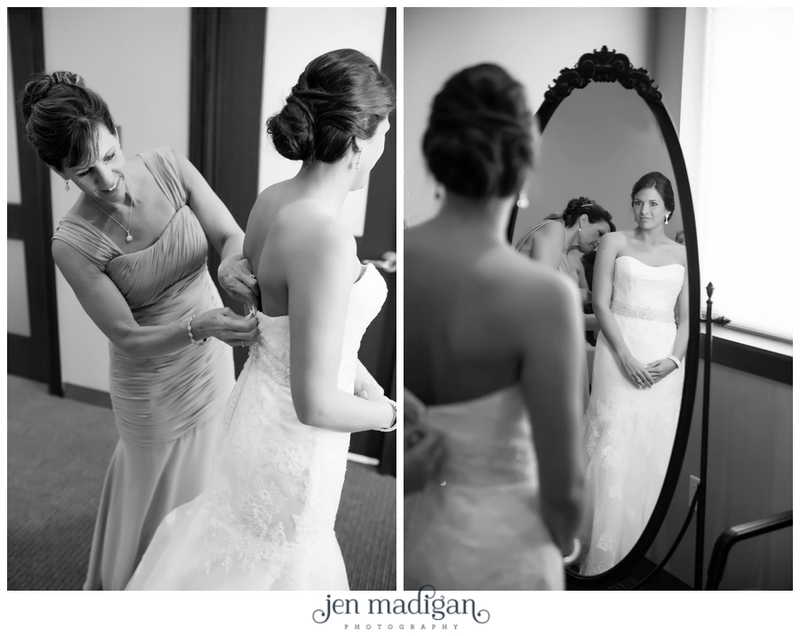 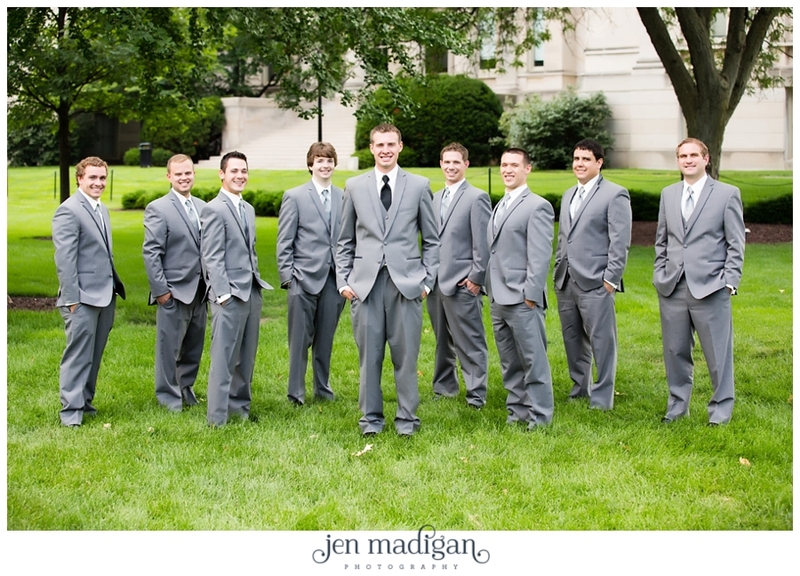 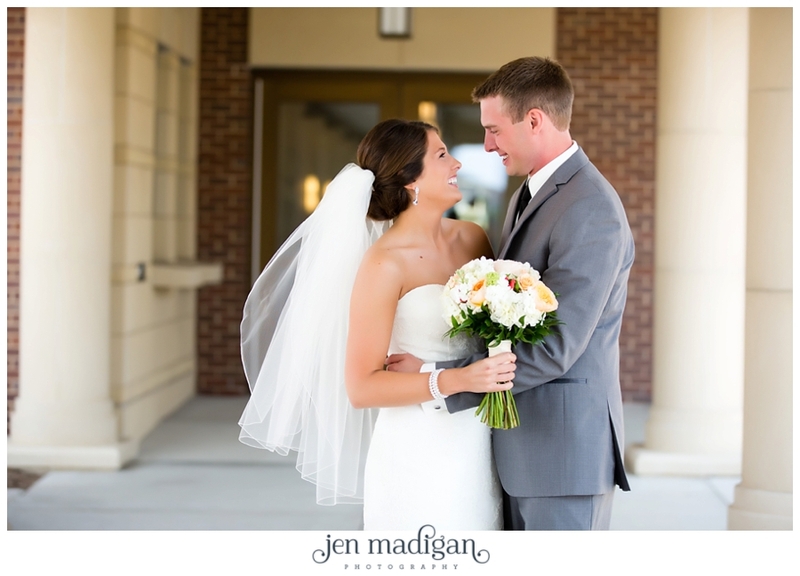 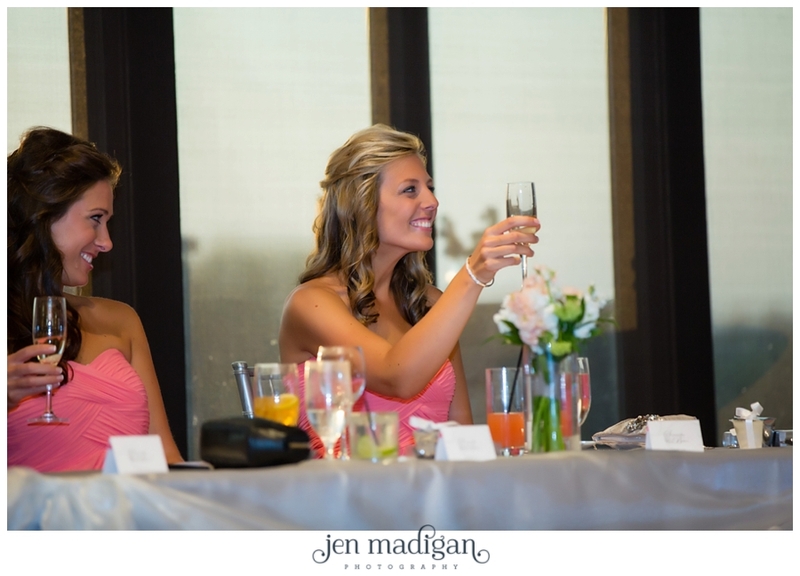 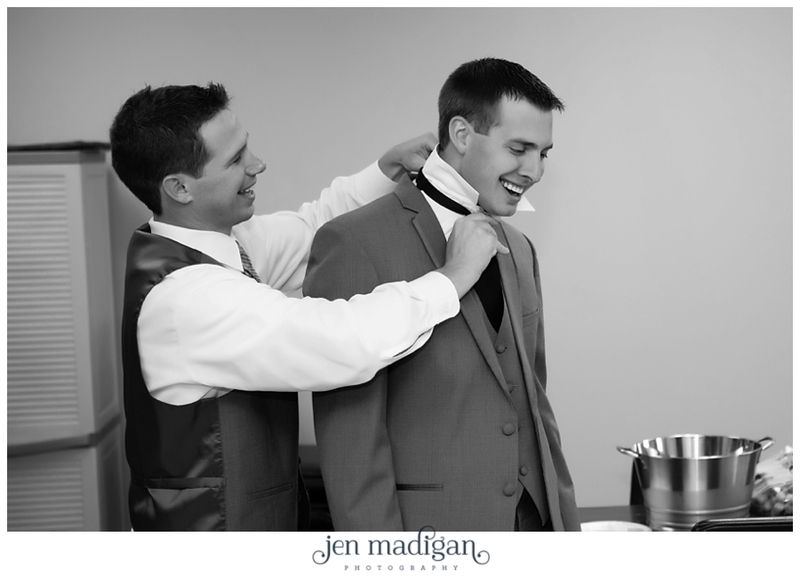 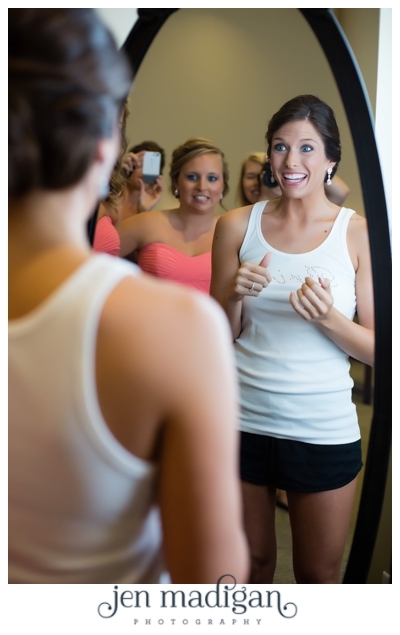 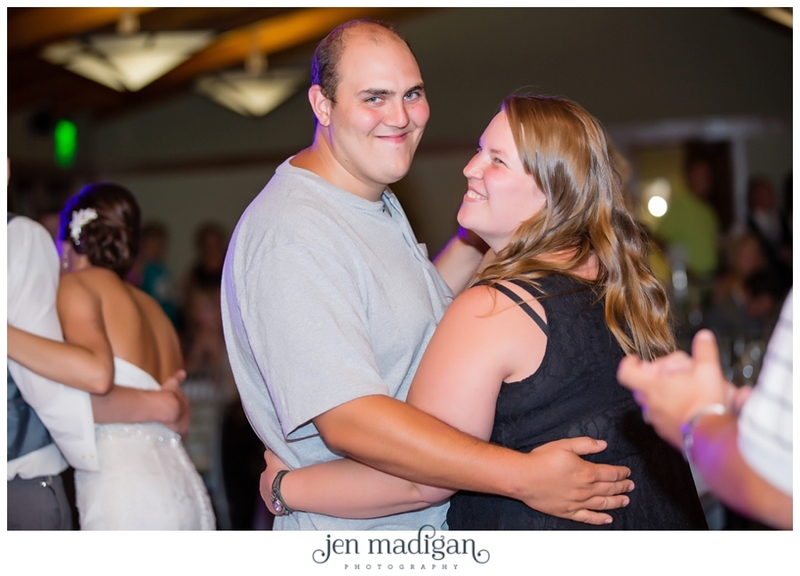 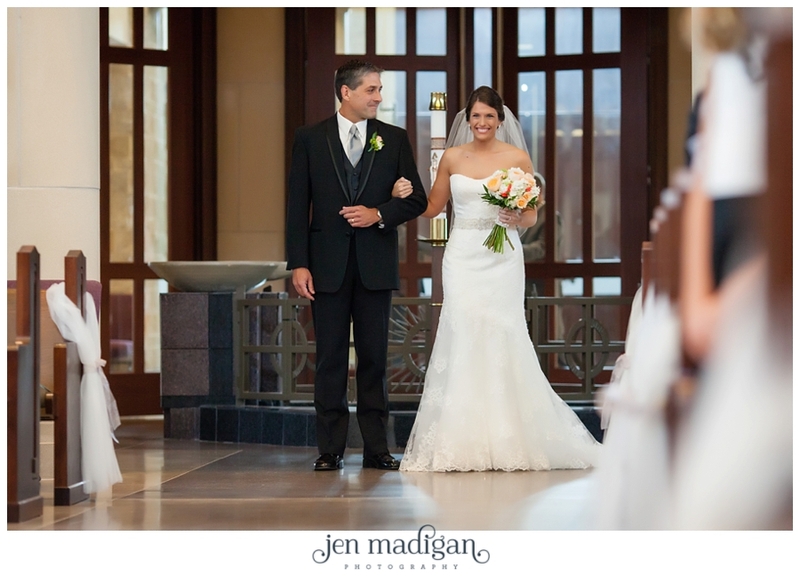 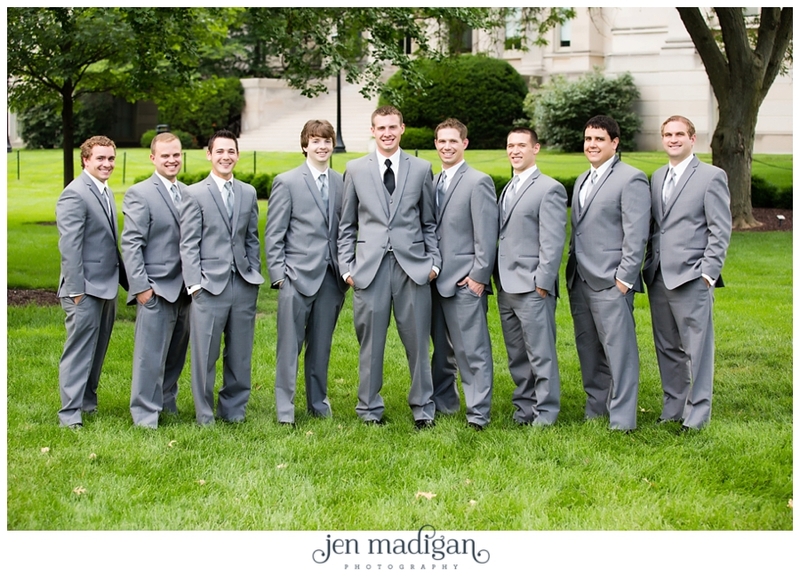 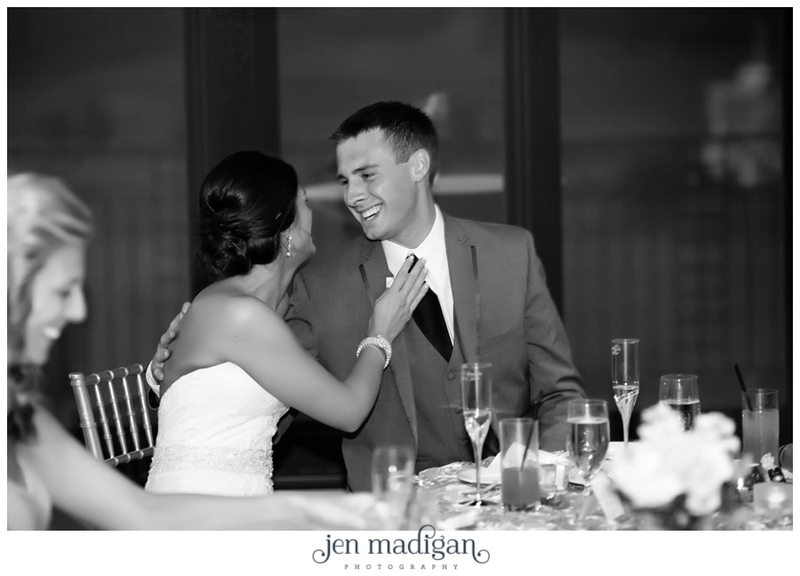 Congratulations to Sam and Brian, thank you for choosing us to document your day! 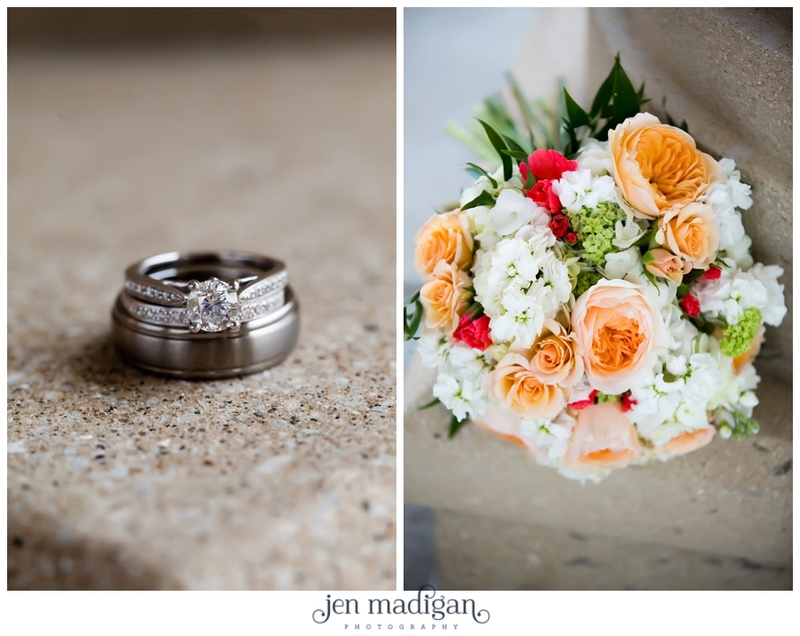 I hope you like the sneak peek.